Korean women are known for their beautiful, miraculously clear skin that seems to come right out of an airbrushed magazine–except it’s real life. It’s no wonder that nations outside of Asia have quickly begun jumping onto the bandwagon of Korean beauty and skincare in hopes of achieving skin that looks half as flawless as that of native Korean ladies. If you’re interested in improving your skin through Korean skincare techniques, keep reading to learn more about ten Korean beauty secrets you need to know. Double cleansing is a face-cleaning technique that Korean women implement in order to remove both dirt and makeup from their face thoroughly and completely. The double cleansing process starts with a pre-wash that involves washing your face using a liquid cleanser, rubbing cleansing oil over your skin, and rinsing your face with warm water. The re-clean portion of this process includes washing your face with a foaming cleanser. Exfoliation is a big part of Korean skincare and beauty routines. Use a gentle exfoliator a few times a week to unclog your pores and slough off dead skin cells to achieve clearer, more radiant skin. Toning is a technique used frequently by Korean women. Toning your skin helps prep your skin to absorb moisturizer for more efficient hydration. Toners can also minimize the size and visibility of your pores as well as refresh and revitalize your skin. Essence is a very lightweight, nourishing liquid that is infused with a blend of vitamins to hydrate and firm your skin. It is much less heavy and creamy than lotions to avoid clogging your pores or adding grease and oil to your skin. Korean women spray essence onto their face and neck every day to increase the health of their skin and provide a nourished, firm base for their makeup. Korean women are very into moisturizing their skin in order to keep it hydrated and help it retain its youthful glow for as long as possible. Lightweight moisturizer is much more popular in Korea than heavier creams. Many Korean women use very lightweight moisturizer formulas to nourish their skin. They massage it into their skin using circular motions with their fingertips in order to help it absorb more quickly without leaving a greasy residue behind. Face masks that include only natural ingredients rather than synthetic chemicals are extremely popular in Korea. If you want to try natural face masks to clear up and brighten your skin, you should take a page out of Korea’s book and use natural ingredients like green tea and yeast. You should only use a face mask twice a week to prevent irritating your skin. Korean women always wear sunscreen when they go outside in order to preserve their pale skin and prevent the sun from damaging it and causing wrinkles and tans. Make sure you use makeup that includes a high SPF sun protection so that your face is always protected. You should also apply an anti-aging sunscreen formula to your neck and chest every day to prevent premature signs of aging. Eye cream can help hydrate the delicate area of skin around your eyes and prevent visible signs of aging and fatigue. Many Korean women apply special eye creams every day as a part of their daily skincare routine. Here is a list of the most popular Korean Beauty Balm Cream/BB Cream this year. Maintaining a proper diet is an important part of achieving skin as beautiful as that of a Korean woman. Make sure you incorporate foods into your diet that include plenty of vitamins and nutrition in order to keep your skin looking bright and clear with a healthy, elastic glow. By imitating the skincare and beauty routines that originated within Korea, you can have a chance at achieving beautiful, clear skin. 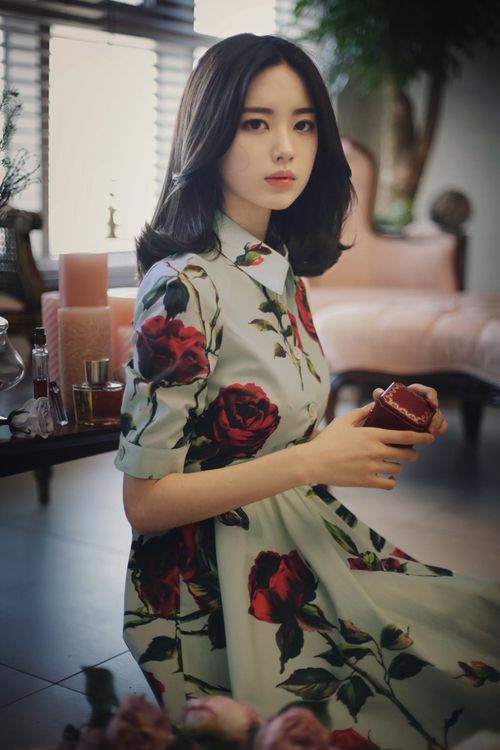 Use this post to find out about ten Korean beauty secrets you need to know and learn how to incorporate them into your daily beauty routine.